Golfers elbow and tennis elbow are common types of tendonitis. 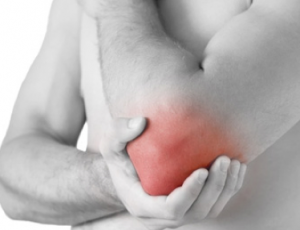 These conditions are both characterized by a sharp pain on the elbow area. The main difference between a golfers elbow and tennis elbow is that the pain in a golfers elbow is experienced on the inner parts of the elbow. 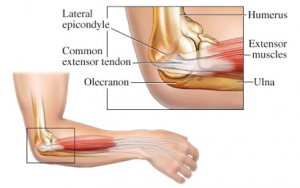 With tennis elbow, the pain is experienced on the outer parts of the elbow, also known as lateral epicondylitis. These conditions are not just restricted to golfers and tennis players, if you constantly use your wrists and clench your fingers then you can develop any of the two types of tendonitis. The pain is usually manageable but when ignored, it could spread onto the forearm and the wrist as well. It can last for over a year and be very annoying and restrictive. Like we mentioned these are conditions that can affect any person. That said; there are people who are at a greater risk of developing golfers or tennis elbow and these are golfers and tennis players. People who repetitively use their elbows and wrists such as violinists, guitar players, house cleaners and decorators are also at a higher risk of developing the conditions. Age is also a risk factor and people within the 40 to 60 years age bracket are more susceptible to golfers or tennis elbow. Prevention is always better than cure. Before we can highlight some of the treatment options you have for these conditions, it’s important that we highlight how you can prevent developing golfers or tennis elbow. While you cannot control your daily activities especially if they are a part of your profession, you can still ensure that you do not develop the conditions. It helps to take breaks to relieve the pressure placed on the tendons that surround your elbow. Remember that repetitive action is what brings about most of these injuries and inflammation. Stretching exercises are also essential. You can also change your technique and ensure that you do not use heavy items such a heavy tennis racket while playing as this applies excess weight on the elbow. The treatments for golfer’s and tennis elbow are the same since the conditions affect pretty much the same area. Rest is one of the best treatments and this relieves the pressure brought by the repetitive actions. Wrapping the elbow could help reduce the load and an elastic bandage would work best as it gives the elbow a chance to move a little as opposed to keeping it immobile. Counterforce bracing can decrease the pressure seen on the inflamed area and relieve pain. 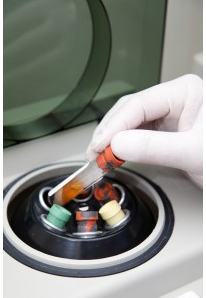 PRP is made by spinning down a patient’s own blood for about 15 minutes rapidly. Ice packs can help relieve the inflammation on the elbow and it also helps to massage the area. Physical and occupational therapy may help and these therapies will involve a lot of stretching and strengthening exercises. Anti-inflammatory drugs may be prescribed along with other treatments to help relieve the pain and reduce inflammation. Cortisone injections may be administered when over the counter medication fails to relieve the pain and inflammation and these provide short term relief. Shock wave therapy has also been used with some excellent outcomes. Surgery is an absolute last resort for these conditions. Stem cell therapy can also be used to effectively treat golfers or tennis elbow. Stem cell therapy encourages natural healing by utilizing skin stem cells which are injected into the elbow to regenerate the tendon and heal it. Most of the time, the stem cell injections are in the form of PRP Therapy, known as platelet rich plasma therapy. The injections involve taking blood from the patient and spinning it down to a concoction of platelets, growth factors and stem cells. In addition, once the PRP is injected it helps call in the body’s own stem cells as well to initiate further healing. Recent studies, such as one presented in the American Journal of Sports Medicine, have shown excellent outcomes for pain relief with tennis elbow and the ability to avoid surgery nicely. If you or a loved one is dealing with golfers or tennis elbow, Contact R3 Stem Cell today for PRP therapy to achieve pain relief and AVOID SURGERY!